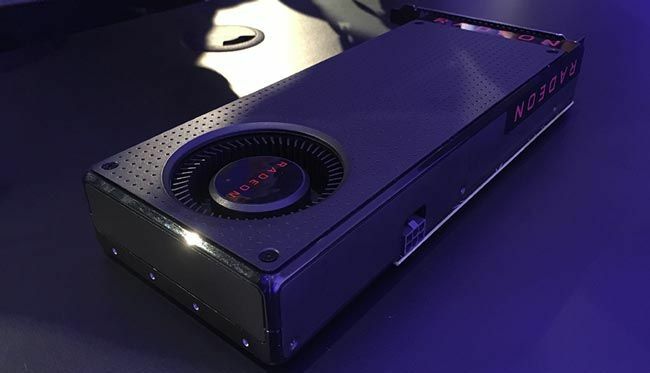 AMD, at Computex today, announced a new GPU as part of the Polaris architecture – Radeon RX480 – priced at $199. The card will be available to the general public on June 29. We do not know about Indian pricing as of yet so do stay tuned for updates. Polaris marks AMD’s fourth iteration of GCN (Graphics Core Next) and could very well be based off the rumoured Polaris 10 GPU. The AMD Radeon RX 480 will feature 36 Compute Units (CUs), so cumulatively that makes it 2304 streaming processors. AMD has said that the RX 480 is capable of more than 5 TeraFLOPs of compute performance, will be available in two SKUs based on memory capacity (4/8 GB) which in turn has a bus width of 256-bit. Let’s compare the RX 480 with AMD’s previous mid-range and high-end offerings of the Rx 300 series. A price tag of $199, makes the RX 480 a direct successor to the AMD R9 380. So going by the TFLOPS that both cards are capable of i.e. 3.5 TFLOPs and 5 TFLOPs, we see that the RX 480 has a compute performance increment of 42.9%. That is a tremendous generational increment. This does position it a little behind the R9 390 so once the benchmarks come in for the two cards, we’ll be able to paint a better picture. If you wish to read up about the new AMD Polaris architecture, then we’ve got you covered. The not so surprising change is the reduction in TDP for the card to 150W, which can be attributed to the 14nm FinFET manufacturing process. In comparison, the R9 380 had a TDP of 190W, so we’re looking at significant power savings as well. 150W is also the TDP that NVIDIA’s GTX 1070 is designed for and is actually cheaper than the NVIDIA card which retails for $379. This means, that the RX 480 is not meant to compete with the GTX 1070 but we’re still excited about benchmark numbers. The main aim of these power-efficient GPUs happens to be democratising VR. AMD mentioned explicitly how getting a VR-ready PC costs and the RX 480 is meant to change that scenario and make VR all the more affordable. In fact, AMD has teased certain benchmark figures which pit the RX 480 against higher-end graphics cards which cost around $500. AMD notes that bringing down the PC cost considerably (we’re looking at a reduction of more than $300 here) is paramount towards attaining this objective of making VR more widespread. If the announcement of a mid-range card has surprised you, then you’ll be relieved to know that this is part of AMD’s strategy. They’re calling it their “water-drop strategy” and they aim to target the high-volume mid-range segment before moving on to the flagship lineup. More will be revealed as we approach the launch date of June 29th and stay tuned as we bring you Indian pricing for the cards. Set to formally launch on June 29th, the Radeon™ RX 480 will deliver the world’s most affordable solution for premium PC VR experiences, including a model that is both HTC™ Vive Ready and Oculus™ Rift™ certified and delivering VR capability common in $500 GPUs. · More affordable VR-ready desktops and notebooks: AMD expects that affordable PC VR enabled by Polaris architecture-based graphics cards will drive a wide range of VR-ready desktops and notebooks, providing a catalyst for the expansion of the addressable market to an estimated 100 million consumers over the next 10 years. · Making VR accessible to consumers in retail: Thus far, retail has not been a viable channel for VR sales as average system costs exceeding $999 have precluded VR-ready PCs from seeing substantial shelf space. The Radeon™ RX Series graphics cards will enable OEMs to build ideally priced VR-ready desktops and notebooks well suited for the retail PC market. · Unleashing VR developers on a larger audience: Adoption of PC VR technologies by mainstream consumers is expected to spur further developer interest across the ecosystem, unleashing new VR applications in education, entertainment, and productivity as developers seek to capitalize on the growing popularity of the medium. · Reducing the cost of entry to VR: AMD expects that affordable PC VR enabled by Polaris architecture-based graphics cards will dramatically accelerate the pace of the VR ecosystem, driving greater consumer adoption, further developer interest, and increased production of HMDs, ultimately resulting in a lower cost of entry as prices throughout the VR ecosystem decrease over time. The Radeon™ RX Series launch represents the first salvo in AMD’s new “Water Drop” strategy aimed at releasing new graphics architectures in high volume segments first to support continued market share growth for Radeon™ GPUs. In May 2016, Mercury Research reported that AMD gained 3.2% market share in discrete GPUs in Q1 2016. The Radeon™ RX Series will address a substantial opportunity in PC gaming: more than 13.8 million PC gamers who spend $100-300 to upgrade their graphics cards, and 84% of competitive and AAA PC gamers. 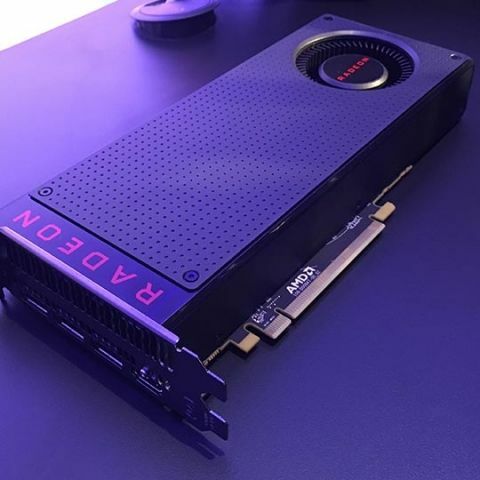 With Polaris architecture-based Radeon™ RX Series graphics cards, AMD intends to redefine the gaming experience in its class, introducing dramatically improved performance and efficiency, support for compelling VR experiences, and incredible features never before possible at these prices. Can i use Gigabyte Radeon Rx 480 G1 on my pc?